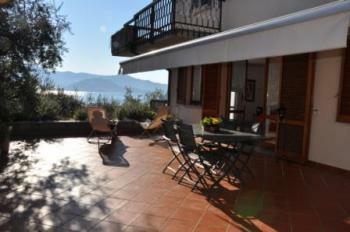 VACANZA ROMANTICA - LAKE ISEO: Villa Vacanza Romantica, a new structure, is located in the village of Riva di Solto by Lake Iseo, quiet area, surrounded by greenery. 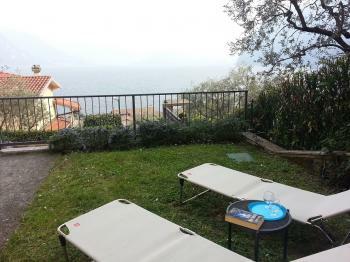 In the villa there are 2 large studios ( 50 sq mts);each can accommodate 2-3 people; it has a bathroom with shower, a spacious living room with double bed and single bed, a kitchen equipped with all the necessary utensils for cooking, a private terrace or garden overlooking the lake. Have you ever thinked to spend your holiday by the lake? 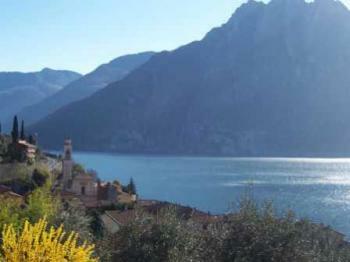 In particolar by the lake Iseo, the smallest and the less known of the prealpine Italian lakes! 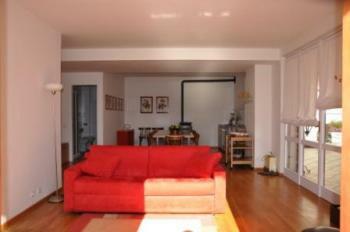 I could help you to organise your custom-made holiday, with your family and your friends in every season of the year! Staying by t...he lake Iseo means practise sports absorbed in the nature, explore tiny villages which keep jealously their traditions, discover new tastes in the typical dishes tightly linked with local products and the esteemed vineyard in Vacalepio and in Franciacorta. The minimum stay is 7 days (from Saturday to Saturday) unless... other agreements. 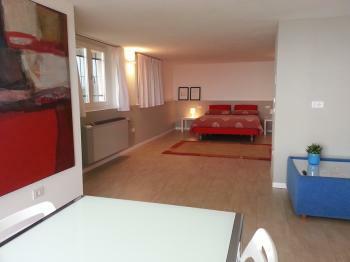 The apartment is available (check in) by 17.00 and must be vacated by 10.00 am (check out) unless other agreements. It is requested a caution money of € 200,00.